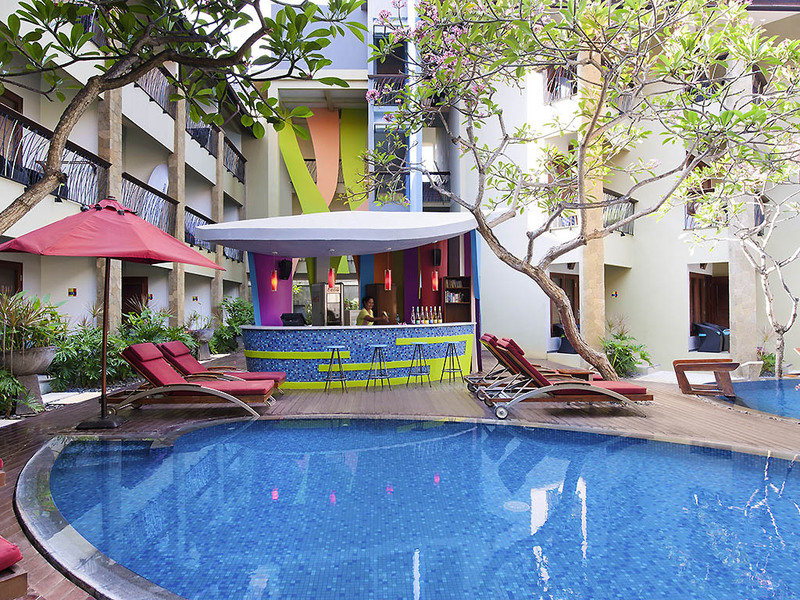 Ibis Styles Bali Legian is 3-Star Hotel with 112 air-conditioned rooms surrounded by tropical gardens. The central pool deck has a kid's pool, sun loungers and a bar. Dine at Colours Café or relax at Chill Out Spa with a traditional Balinese massage. The hotel is only 15 min from Ngurah Rai International Airport Bali. Part of the My Resort program for Le Club AccorHotels members.